For most of the 20th century this engraving was catalogued as School of Mantegna, but recent scholarship has argued for its attribution to the master, thus bringing the canon of his autograph prints to eleven. 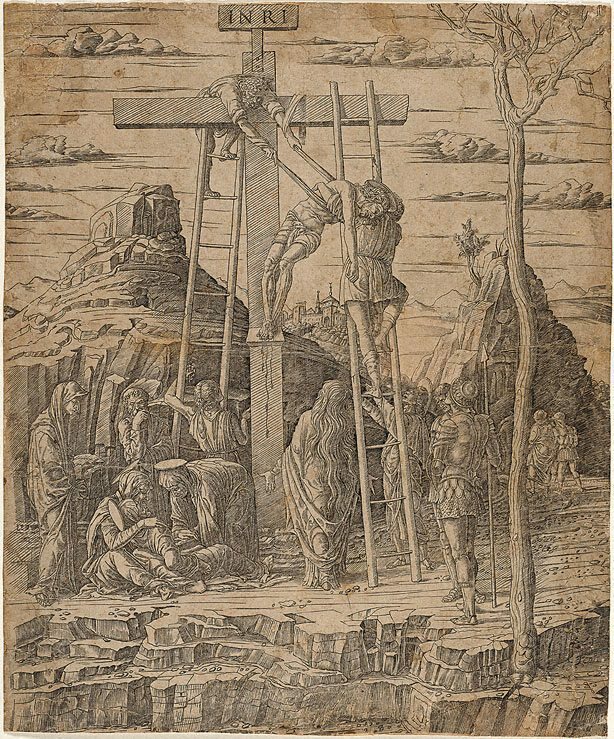 It is now thought to be one of the very first that Mantegna produced. The clouds and the shading of the branches are believed to have been added in the 16th century after the plate had left the artist’s workshop. The strength of the image in this impression is diminished by its poor condition. Piety and Paganism , Sydney, 1991, 8.